The best way to understand the differences between America’s many barbecue styles is to hear the word straight from the pitmaster’s mouth. We gathered together some great ones from Memphis, the Carolinas, KC, and more, and asked them to describe what their regional style’s all about. If you don’t get it after this, well… that’s okay, the barbecue’s still gonna taste good. Which BBQ Sauce Is Right for You? “The Carolinas are all about the pig,” says North Carolina native, Elizabeth Karmel, co-owner of Carolina Cue To-Go. “There are a lot of nuances just within North Carolina. You have Eastern and Western styles.” Eastern-style embraces whole-hog cooking and a minimalist approach to sauce -- just vinegar and pepper. At Carolina Cue To-Go, Karmel has married her favorite aspects of each style, creating a unique Carolina cue mash-up that consists of whole hog that is slow smoked over hickory wood, then hand pulled, chopped, and topped with a Western-style, red vinegar sauce made from apple-cider vinegar, three types of peppers, dark brown sugar & a touch of ketchup. 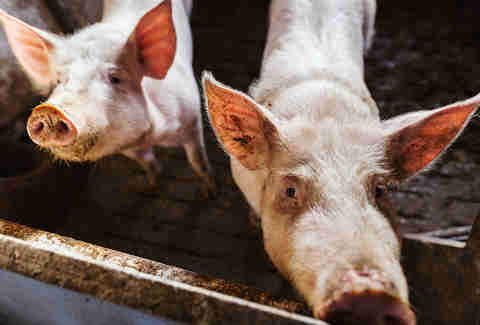 When you cross the border to South Carolina, pig still reigns supreme, but it’s doused in a strong, thick, mustard-based sauce that often includes brown sugar and vinegar. “Alabama barbecue is all about the meat, typically pork shoulder and whole chickens,” says Chris Lilly of Big Bob Gibson Bar-B-Q in Decatur, Alabama. 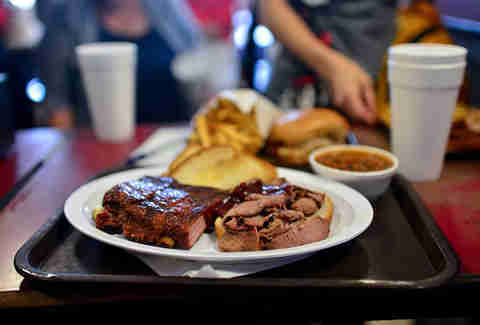 “Alabamians like to sample barbecue first, without sauce. 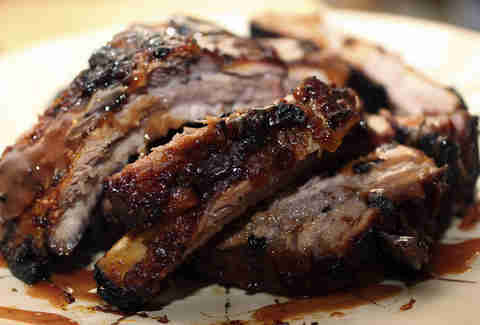 Great barbecue will stand alone, not needing extra sauce to improve the flavor. Sauce should be a complement to the flavor of smoked meat and not a cover-up,” he insists. Lilly says Alabama is caught between the vinegar sauces of the Carolinas and the sweet tomato-based sauces of Memphis, so you can expect to find both types on the tables of Alabama barbecue restaurants. 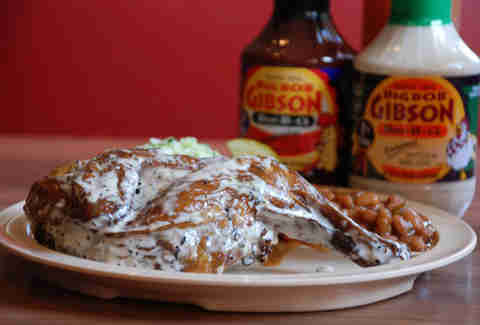 However, white sauce -- a mayonnaise-and-vinegar mixture -- is the Alabama barbecue emblem, and the reason Big Bob Gibson’s Original White Barbecue sauce has become an Alabama barbecue staple. 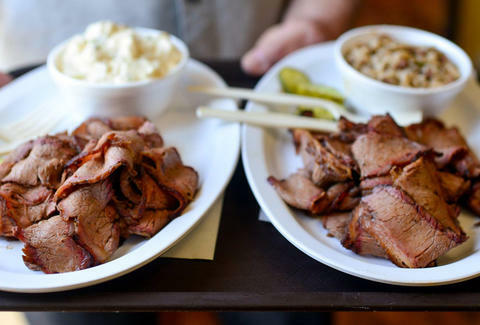 “No one does pork like Memphis,” says Andrew Pollard of A&R Bar-B-Que. “We cook our meat long and slow, 14-plus hours, in a big open pit with the wood directly under the meat.” Occasionally you’ll see pitmasters use a dry rub of paprika, garlic, and other spices, but Pollard says purists don’t even use salt and pepper. “We let the meat soak up the taste of the pit,” he says. When it comes to sauce, it’s tangy and tomato-based, and usually slathered on a pulled pork sandwich. Hungry for barbecue but also seeking crunch? Lay’s has just added even more smoky/saucy/tangy flavor to their classic Barbecue Chips -- because while “more cowbell” might be debatable, the wisdom of “more barbecue” is indisputable. “Texas is a beef state and a firewood state and that informs our barbecue style,” says Nick Pencis, owner of Stanley’s Famous Pit Barbecue in Tyler, Texas. “But within Texas you’ve got many different styles.” East Texas takes a lot of cues from Southern barbecue traditions so you see just as much pork as beef, he says. Brisket is chopped, not sliced, and people like their 'cue served between two buns with hot sauce or a sweet, tomato-based sauce. “Using sauce is way more accepted here,” he says. “In central Texas, sauce is considered offensive. Here, we see it as a condiment, like salt on fries and you use that bun to mop it all up.” Pencis says east Texas knows how to do the Texas Trinity -- brisket, sausage, and pork ribs. “The trinity sets the bar of a barbecue joint in east Texas,” he says. Cattle is king in central Texas and the meat stands alone, “naked” without sauce. “Our style is no different than a steakhouse, other than the method we use to cook our meat,” says Wayne Mueller, owner of Louie Mueller Barbecue in Taylor, Texas. Mueller says in central Texas, barbecue is cooked using horizontal convection instead of radiant, vertical convection. “We don’t cook with coals,” he says. 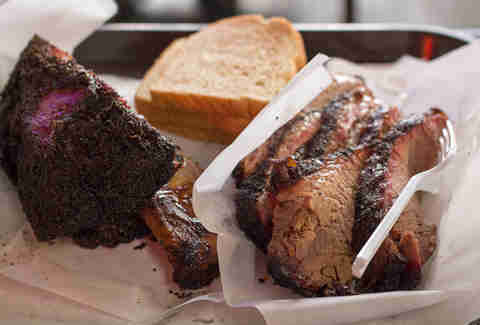 “Brisket is best cooked side to side with the air flowing laterally. That delivers really moist meat. You’ll see central Texans carve brisket like they carve a roast or a prime rib. We cook it so it has the perfect thick crust and smoky, tender meat.” The wood of choice is pecan or oak. Sides -- and silverware -- are an afterthought. This is Flintstone-style meat, best eaten with your hands.